June | 2015 | Mike Lamberti, From Margate To Cleveland, And Back ! Belleville has had a marvelous history when it comes to high school softball. In the 1980s, the Bucs had one of the most dominant programs in Essex County, reaching the county finals nine times while winning three championships. Former head coach Carl Corino won over 500 games there and at one time was the state’s all-time, winningest coach. Belleville has also won a pair of state sectional championships, as well as numerous NNJIL crowns, and has had countless All-County and a number of All-State players, spanning four decades. Guy was a tremendous defensive player for the Bucs, playing third base. 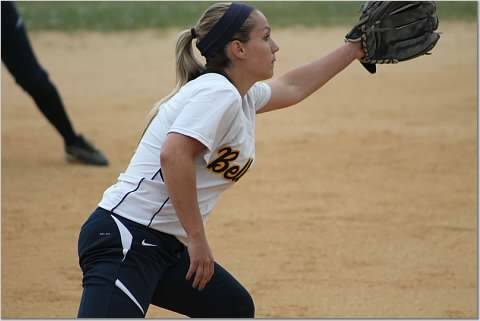 So, with that said, let’s give some kudos to Belleville’s senior Sarah Guy, who put together a solid four-year career as, first, a pitcher, then a third baseman for the Bucs. Having covered the program for the last 35 years, I can say, without hesitation, that Guy could have played on any of those great teams from the past. Belleville coach Chris Cantarella, who has been around some tremendous players at BHS, first as an assistant to Corino and, for the last 10 seasons as the head coach, also felt Guy was a unique player. 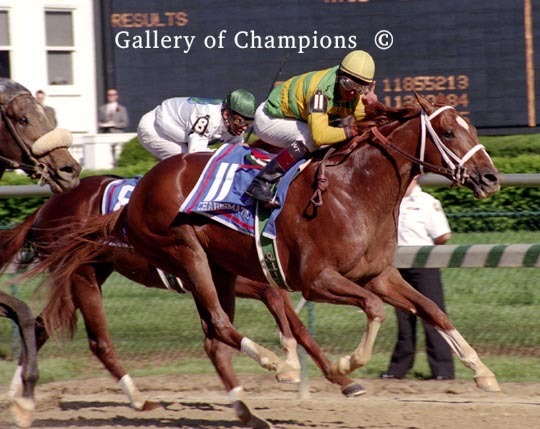 I always enjoy tagging a stud race horse name to a really good Essex County player, and in Sarah’s case, it’s Charismatic, named after a great horse and the perfect characterization of Guy’s energy and passion on the softball diamond. The other Charismatic, which was Guy’s ‘stud’ name in softball. Guy started her high school career in 2012 as Belleville’s starting pitcher. That year, the Bucs were in the Super Essex Conference’s American Division, playing against some of the better teams in North Jersey. Guy had 40 hits and drove in 22 runs as a junior, then batted .537 this year, with 39 RBI and 40 runs scored. She’ll be attending Montclair State University this fall, where Guy will continue playing softball, probably at third base. 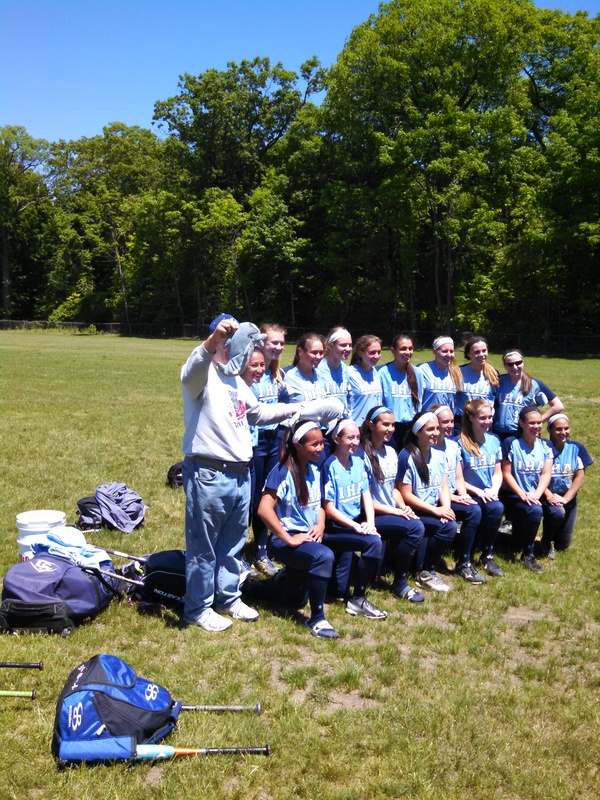 It was a very good year for Essex County softball in 2015. Here’s a continuing look back at the past season, with some accolades. TEAM OF THE YEAR: Not much argument here. Mount St. Dominic put together a marvelous season, finishing 29-2. The Lions won a second straight Essex County Tournament championship, as well as a second straight Super Essex Conference, American Division crown. What’s really scary is how good this team could be next year. The Lions lost just one senior, albeit a phenomenal player in ‘Real Quiet’, Ally Dabroski. But the core of the team should be intact, with Kelsey Oh, Marisa Jenkins, Helyna Bissell and Sarah Taffet, who were first team, All-SEC players in 2015, set to return. The Mount lost just one game within New Jersey and were more than dominant in the Essex County Tournament, while being ranked the state’s top team for a good portion of the season. A heartbreaking loss in the North Non-Public A semifinals will only make this team more determined to bring back a state championship trophy to their campus in 2016. PITCHER OF THE YEAR: Clearly the best pitcher in Essex County and, based on her winning the prestigious Gatorade award, the top pitcher in New Jersey, Kelsey Oh of Mount St. Dominic put up staggering numbers. She led her team to a Triple Crown in 2014 (conference, county and state championship) and followed that with a marvelous year in ’15. Good news for MSD, but imposing for the rest of the SEC, and beyond—Oh will be a junior next year. PLAYER OF THE YEAR: There were some real good ones, but in this estimation, Erin Stacevicz of Cedar Grove gets the nod. California Chrome, a senior shortstop and leadoff hitter led Cedar Grove to its first Group 1 championship in 36 years. Stacevicz, who will play at the University of Massachusetts this fall, combined raw speed with a disciplined bat to make the Panthers’ offense lethal, especially at the top of the lineup. Stacevicz batted .562 and scored 47 runs as Cedar Grove finished 24-8. 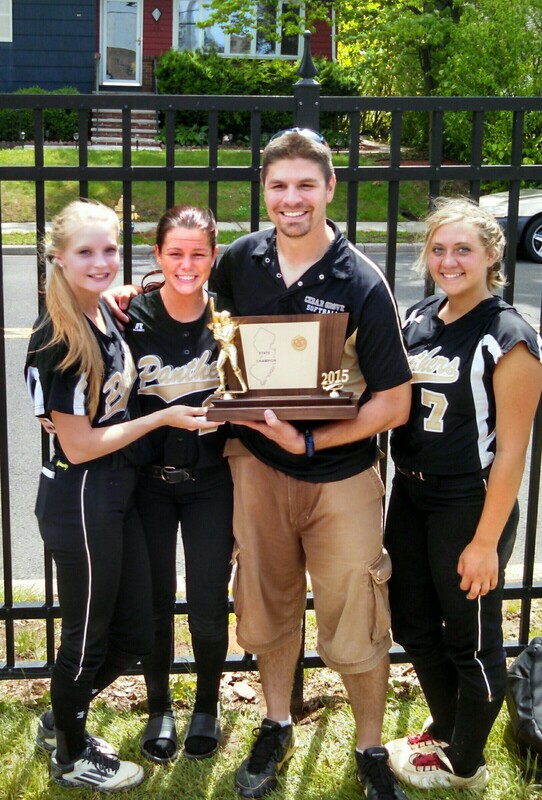 Cedar Grove coach AJ Agnor celebrates a state championship along with (left to right) Erin Stacevicz, Liz Dillard and Autumn Spinella. Agnor was named the FMTC Essex Coach of the Year while Stacevicz is our Player of the Year. STUD OF THE YEAR: Nutley’s Carly Anderson used the Spectacular Bid moniker quite well during a four-year career for the Raiders. Anderson guided Nutley to a state sectional championship this year. After battling an injury in 2014 which limited her pitching, Anderson was at full strength this year. As a leadoff batter, she was incredible and in the circle, unflappable. Anderson will be attending Rowan University this fall, where she’ll continue to play softball. A winner in every aspect possible, she was, CLEARLY, an All-State caliber player in 2015. No ifs, ands, or buts. She’s the real deal, having been a part of state championship teams for basketball and softball this year at Nutley. Nutley’s Carly Anderson and the other Spectacular Bid. ESSEX COACH OF THE YEAR: In just his first season, AJ Agnor guided Cedar Grove to a Group 1 championship and 24-8 record. Agnor’s low-keyed personality seemed to fit the Panthers well. Cedar Grove mixed youth and experience into a tremendous post-season run. 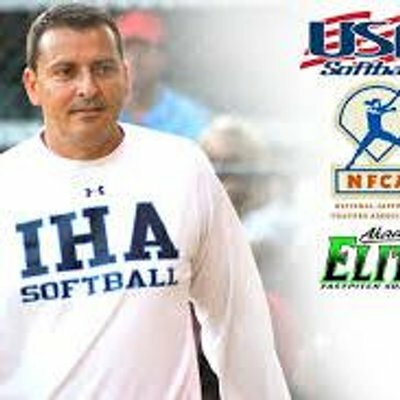 The Panthers have enjoyed tremendous success over the past four decades behind the coaching of Ray VanDerMay and Rob Stern and now Agnor can put his name in a lofty place within the annals of a great softball program. FAN OF THE YEAR: Okay, I admit it, I’m partial here. There are so many wonderful fans in Essex County softball, some of which are parents, while others are big fans of softball, in general. Harry Anderson was one of my favorite fans over the past four years. As fun-loving and as hard-working a man as they come, Harry would never miss the chance to see his daughter, Carly Anderson, play softball. He would take his usual spot in the outfield and enjoy every minute of watching his daughter play. He never questioned a coaching move, or was critical of a result, good, or bad. Harry just wanted to see the kids enjoy themselves, while playing the game he’s loved for a lifetime. 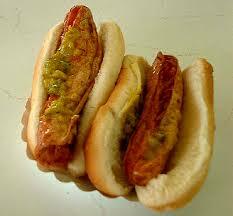 Harry Anderson can be described simply as this. He works long hours to provide for his family. When his daughter decided on what college she’d attend this fall (it will be Rowan University), the smile on his face extended a country mile. Harry and his wife, Christy, signified all that’s right when it came to being supporting of their daughter, and watching her learn the rigors of competition. Harry never asked for accolades, he does what is expected of a devoted husband and father. I can’t tell you how many phone calls we’d share about a game, or a specific team, and he’d rattle off statistics about numerous players and coaches in the state. He’s attended more than his share of summer softball games and traveled the circuit regularly, always being a positive influence. Thanks, Harry, for doing it correctly, for remembering the game is for the kids, and to you and Christy for raising such a very nice young woman, in Carly. Since she came on the scene as a freshman pitcher in 2012, Caldwell’s Cayla Lombardi has worn uniform No. 7. While that’s always been a popular number, in general, Lombardi’s attachment to it goes far before she was born. Cayla’s grandfather, Carl Lombardi, was once an outstanding baseball player in the New York Yankees’ farm system. In 1950, Carl, a catcher, played minor league ball with none other than Mickey Mantle, for the Yankees’ minor league affiliate, the Joliet Miners. The friendship established between Mantle and Carl would last for 45 years, before Mantle’s death in 1995. Carl Lombardi would play three years in the Yankees minor league system. Carl’s son, also Carl, would marry the former Dr. Kathleen Caldwell, and the couple would have two children, Jake and his younger sister, Cayla. Cayla was as intense a competitor as there was in 2015. At an early age, Cayla would meet Mantle’s son, David. 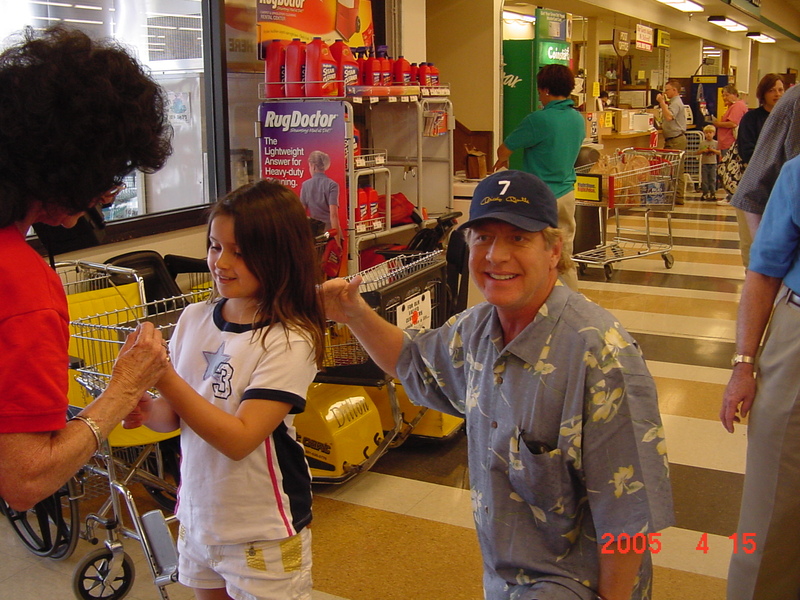 And throughout her young life, Cayla would learn the game of baseball from her beloved grandfather, whom she always called “Nookie”, as well as her dad. Honoring her grandfather by wearing No. 7 was certainly easy for Lombardi, who went on to a spectacular high school career as Caldwell’s top pitcher. She would lead the Chiefs to a pair of Super Essex Conference Liberty Division titles, including this past season, when Caldwell finished with an outstanding 22-7 mark. 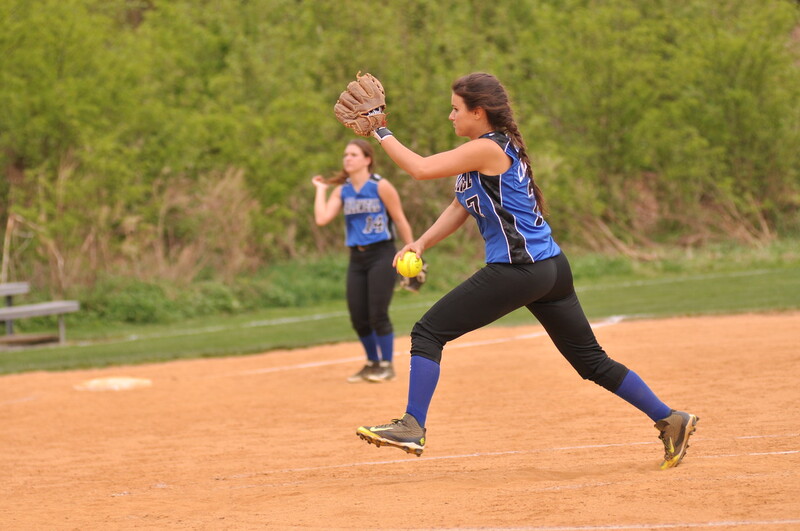 Cayla was the winning pitcher in all of her team’s wins, as she helped guide the Chiefs to the state sectional semifinals. Cayla in her familiar pitching rotation. Many who followed Lombardi’s high school career will recall an unfortunate incident in her sophomore year, when Cayla took a line drive off her head while pitching in a game. The injury kept her out of the lineup for the rest of that season. It’s something Lombardi doesn’t recall to this day, but admits she had trepidation in returning for the 2014 season. With the support of a catcher’s-type mask, Lombardi was pitching effectively in 2014. (“The mask was really annoying at times,” she said). And in the 2015 season, Lombardi had more strikeouts than what she recorded, combined, from 2012-2014. She finished with over 200 strikeouts in her career. 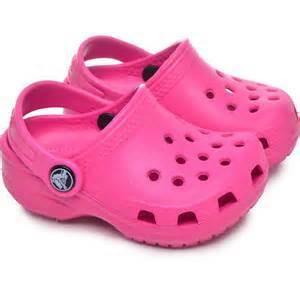 Cayla made the pink crocks popular, wearing them after games this season. Lombardi’s coach, Mike Teshkoyan, couldn’t have been happier with Lombardi’s career. “I don’t think most people realized how much Cayla had to overcome to be able to pitch this season,” Teshkoyan said. “She conquered odds that others would find insurmountable, and she did it with courage, dignity and grace while never once complaining or feeling sorry for herself. Teshkoyan also noted that Lombardi’s ability to play at full capabilities this season was important. Lombardi’s ability to pitch in close games and preserve leads for Caldwell this year was tremendous. Lombardi’s respect for Teshkoyan and his brother, assistant coach, Mark, was heartfelt. Cayla will be attending Seton Hall University this fall, where she will focus on a career in Nursing. While she doesn’t plan on trying out for the softball team there, the thought of playing club ball is appealing. It was a pleasure watching Cayla pitch for the past four years, and I’d like to wish her all the best in the next stage of her career. She’ll always be No. 7 to me. Livingston’s 18-11 season in 2015 was a story of a young team starting to come of age. The Lancers won two games in the Essex County Tournament, including a win over an eventual state champion, as well as a pair of victories in the NJSIAA Tournament. Head coach Jason Daily has been at the helm since 2001. And while he’s coached some tremendous teams to county and state sectional titles over the years (Daily has won three county titles and two state sectional crowns), his work this year with the Lancers was noteworthy. In a game at the Mount St. Dominic Invitational on April 25, Daily sent a quick message when he benched pretty much his entire starting lineup and replaced them with younger players who had little game experience, after feeling his starters weren’t playing hard enough. 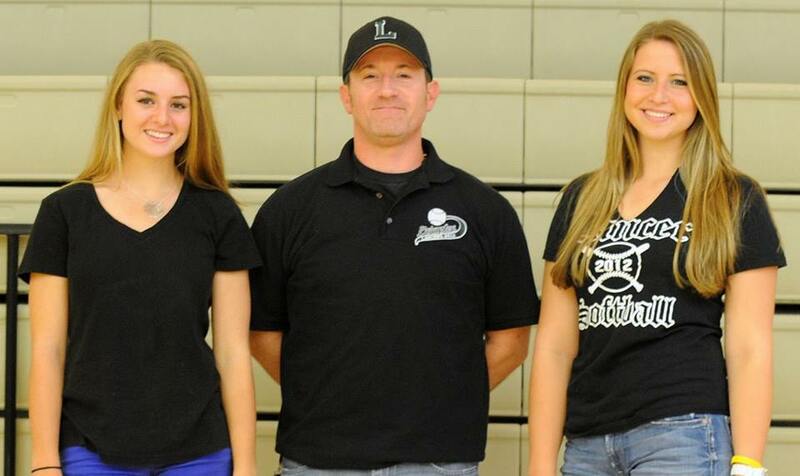 Livingston coach Jason Daily, here in 2012 with All-State players Kylie McLaughlin (left) and Jess Peslak, did a tremendous job with the Lancers this past season. Livingston went on to win that game, against Delaware’s Red Lion Christian, impressively, 11-5. And while the starters watched, not one of them pouted. Every player was by the dugout fence, encouraging their teammates. That game may have sent Livingston in the right direction, as the Lancers would win eight of its next 12 games. Daily’s presence among the players is one of quiet intensity. Rarely does he yell, but he gets his point across succinctly. He’s patient, yet demanding, knowing full well what a player’s capability can, or should be. Livingston will have to replace its battery next year, as pitcher Sami Passeri and catcher Marina Lombardi are set to graduate this month. But the one constant which should keep Livingston in the hunt for championships in 2016 is Daily. In the early stages of a scrimmage on a cold March day, in Nutley, Immaculate Heart Academy softball coach Anthony LaRezza looked over to some friends standing by the third base line. 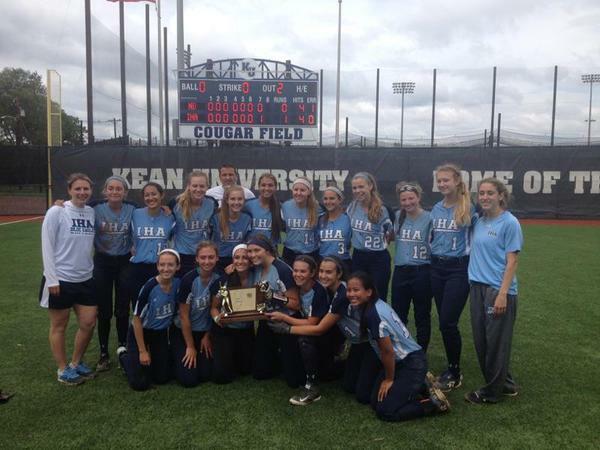 Fast forward three months, and LaRezza and his team stood on the field at Kean University, holding up yet another state championship trophy in the storied history of IHA softball. And while in other years, a championship may have been expected. this year’s team was a work-in-progress. Back-to-back losses in late April may have actually helped this team’s resolve, and following a 1-0 win over Notre Dame in the Non-Public A championship game, there was no question how good IHA had become. Immaculate Heart Academy Coach Anthony LaRezza (back row, white tee-shirt) and his 2015 state championship team. And the best may yet lie ahead. The Eagles had no seniors on its roster in 2015, and as LaRezza told the jubilant group afterward, IHA will be coming back for more next year. LaRezza’s coaching style has many facets. He laughs sometimes, gets mad on other occasions, throws the occasional clipboard up in the air, encourages his kids, when needed, tells stories that only a true historian could verify and has garnered the respect of his peers. He’s my choice as the state’s top softball coach in 2015. Livingston coach Jason Daily agreed. Daily’s point about LaRezza’s rapport during a game, whether it’s with his own players, the umpires, or fans, shows how much he enjoys his work. His admiration for other coaches says a lot, too, about his own character. Quite often, he’ll tweet congratulations to the opposing team shortly after a game, whether IHA won, or lost. When his team lost its first game of the season to Butler, he was congratulating Butler on Twitter minutes after the game, as well as encouraging his own team to bounce back for its next game. When Indian Hills stunned IHA in a classic 2014 Bergen County final, Indian Hills coach Joe Leicht immediately sought LaRezza to say congratulations on a great game, something which meant the world to LaRezza. A fun loving man, who enjoys the occasional trip to Rutt’s Hut, and can’t get enough trivia, whether it’s sports or politics, softball is indeed the fabric of his life. His career record as a head coach is 338-51. He’s been at IHA since 2005 as the head coach after being an assistant there for many years. 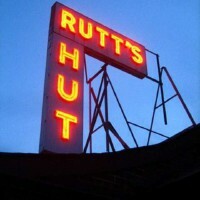 Coach LaRezza never hesitates to enjoy the ‘Ripper’ at legendary Rutt’s Hut. LaRezza has also worked hard to support the Coaches vs. Cancer games, and was asked to throw out the first pitch before a game this season. And when the high school season ends, you’ll find LaRezza back on the field, coaching summer ball. This, along with being a husband and father, as well as a firefighter, defines a man who most coaches will say ‘gets it’, when it comes to understanding his role as a coach and mentor. There’s often the theory that a private high school can attract the best athlete, and that winning should come easy, in return. At Immaculate Heart Academy in Westwood, there have been many successful athletic programs throughout the years, including the softball teams there. 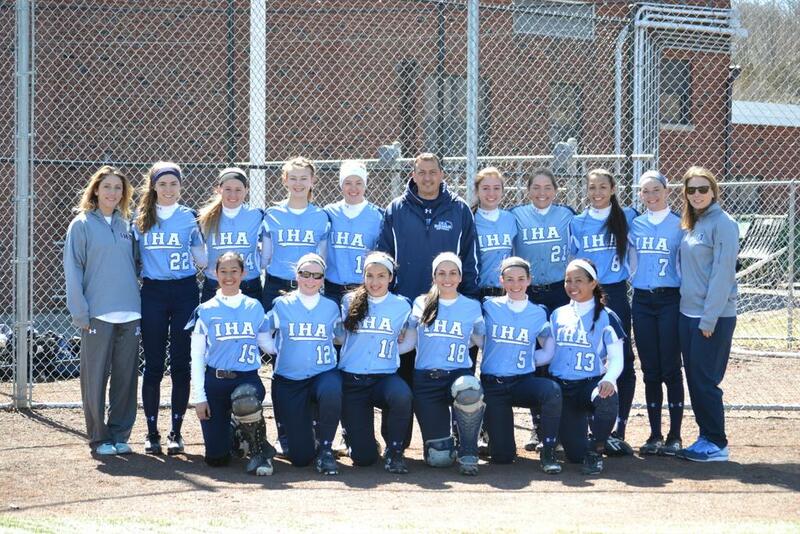 IHA has put together some marvelous softball teams over the past 15 years. Most recently, the Eagles won a state championship and were named the No. 1 team in New Jersey in 2009 and again in 2012. There were near-misses for state crowns in 2013 and last year. Through it all, head coach Anthony LaRezza seems to keep a nice balance between making sure the players are having fun, but also instilling a discipline that generally goes hand-in-hand with mental focus. I said, “well, you’re the coach and something tells me you’ll find a way.” IHA head coach Anthony LaRezza (back row, center) has done, maybe, his best coaching job this year with a young team, on the verge of winning a state title. Guess what? 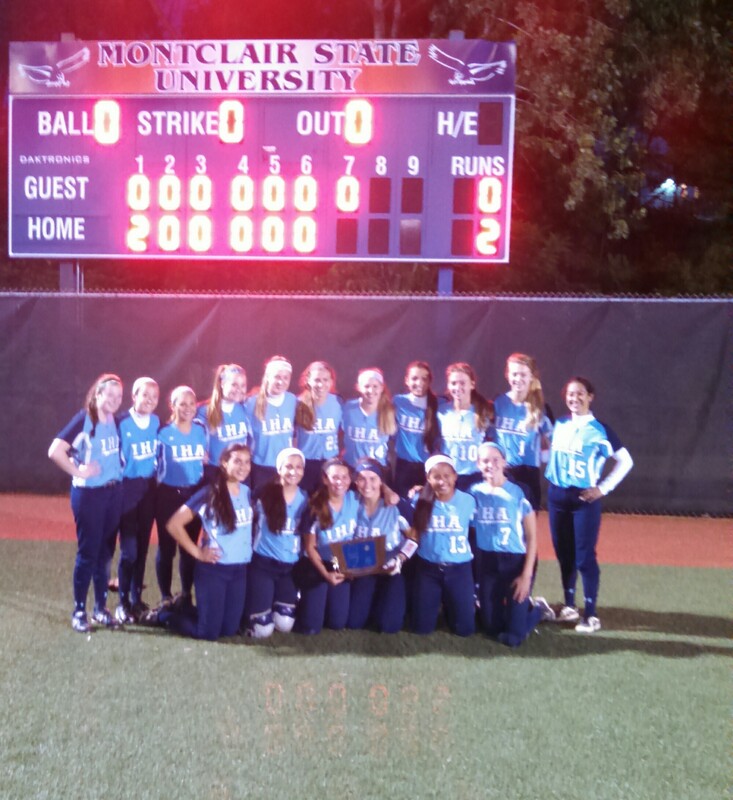 IHA is playing for the Non-Public A championship, opposite a very good Notre Dame team on June 6, at Kean University, starting at 10:30 a.m. It will do so on the heels of a very impressive win over Pope John of Sparta on June 3 for the North championship. The Eagles have two studs (you know how I like to invoke horse racing into softball) in the rotation in lefthanders Olivia Sprofera and Katie Kudlacik. Sprofera, (aka Southpaw Slew) a sophomore, hurled a perfect game in the win over Pope John, mixing off-speed stuff with a nasty fast ball to dominate in the North final. Kudlacik, (aka Southpaw Secretariat) a freshman, throws gas, plain and simple. The ball pops into the catchers glove and the sound of the popping takes an additional second to resonate. And when it does, that pop is clear. LaRezza has been astute enough this season to use both pitchers in games, and the different styles and approaches to their craft has kept opposing teams off-balance, for the most part. After a disappointing loss to Mount St. Dominic in the 2014 North Non-Public A final, the Eagles were all smiles after winning the title this year. 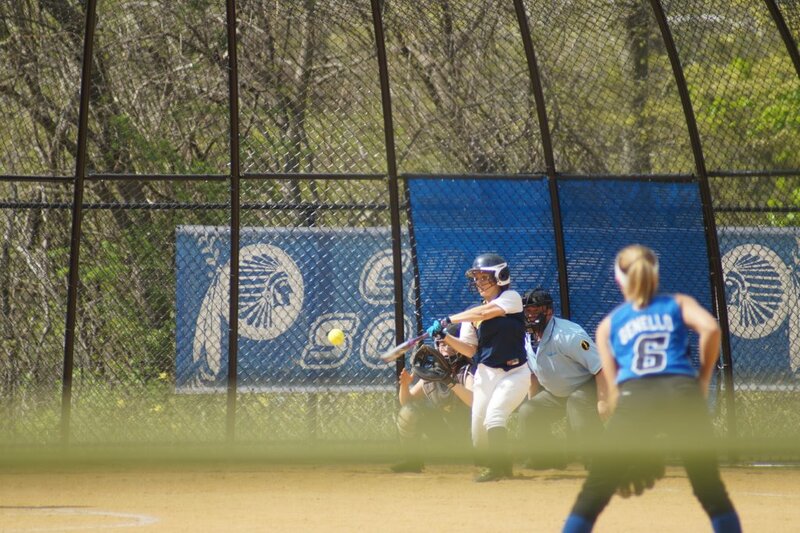 IHA’s 30-3 record heading into Saturday’s final isn’t just about pitching. The offense is potent and the defense makes plays. Reese Guevarra, (Former President) Reagan Jones, Emilie Cieslak, Sarah Browning and Victoria Casey have been key contributors. There’s no standout in the lineup, just a lot of well-coached, hard-nosed kids. 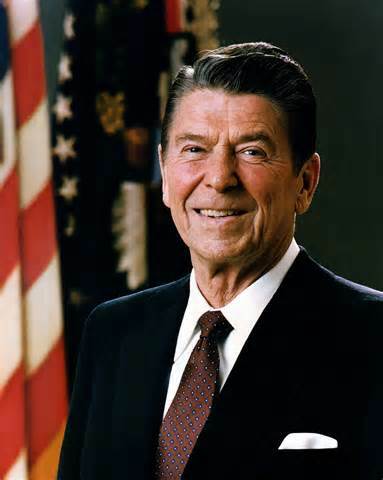 Even former presidents get their due with this year’s IHA team. When IHA lost its first game of the season to Butler last month in a tournament, the look of disappointment on the players’ faces spoke more of a determination to succeed. After a riveting win over DePaul in the North Non-Public A semifinal, the Eagles lost the following day in the Bergen County Tournament final. And would you like to guess how many seniors are on this roster? LaRezza has had some tremendous teams. But, in my estimation, this has been his finest job as a head coach. He deserves accolades as the state’s top coach in 2015. Ed Bates (far left) should be fired up for Saturday’s state championship game. 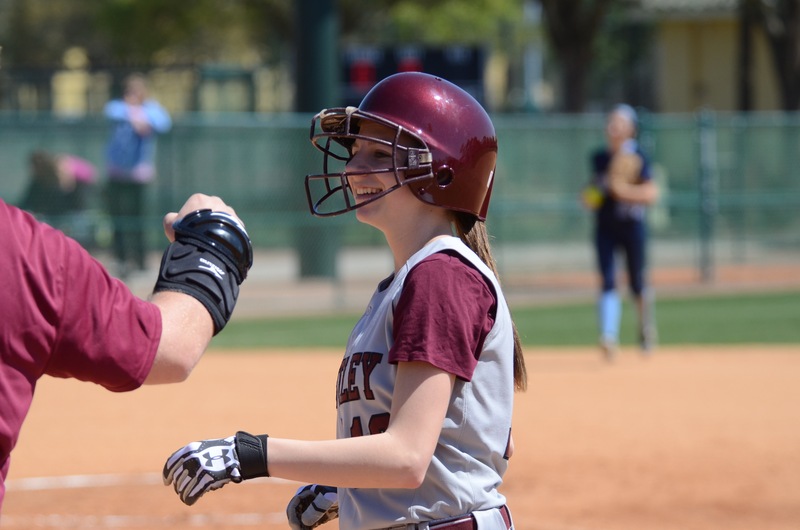 Carly Anderson’s incredible athletic career at Nutley High was concluded in the Group 3 semifinals, when her Raiders dropped a 5-2 decision to Sparta on June 3, at Caldwell University. 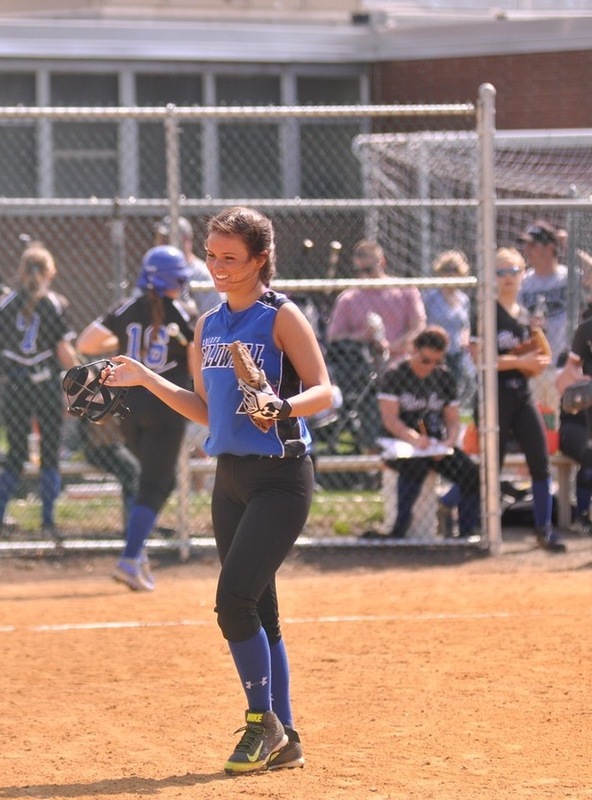 The senior (aka Spectacular Bid) who will play softball at Rowan University this fall, will leave a winning legacy for the Maroon and White, according to her coach, Luann Zullo. Lucky No. 13, Carly Anderson was a stud for the Raiders. Nutley finished 24-8 this year and won its first sectional championship in five years. During the winter, the Raiders girls’ basketball team also won a state sectional title and Anderson was a key contributor there, as well. 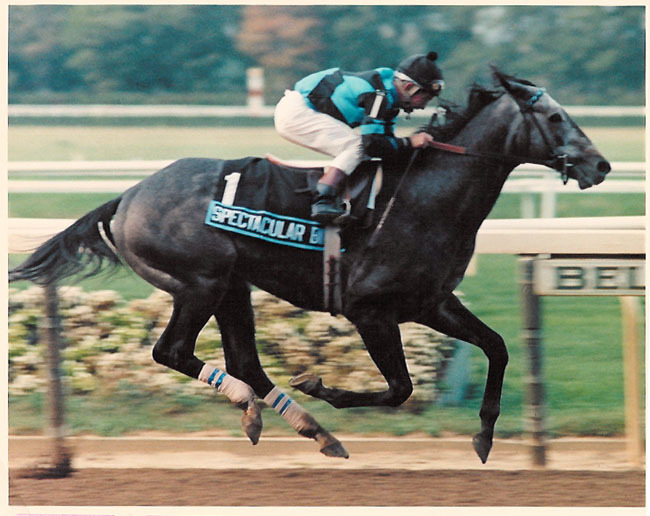 Spectacular Bid left her mark with Nutley High. 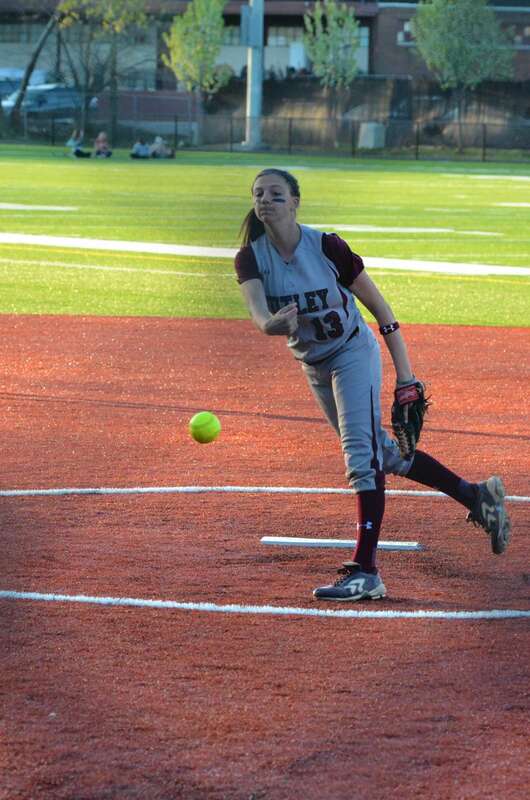 Nutley’s leadoff batter was as dangerous as they came at the plate and her pitching was superb. “Last year, Carly battled some injuries, which limited her pitching, but she came back and was dominant in the circle this year,” said Zullo. The legacy of great softball players at Nutley includes Eileen Purcell, Victoria Malanga, Kristen Mattia and Lauren Iradi from recent vintage. If you haven’t already done so, add Carly Anderson to the list. 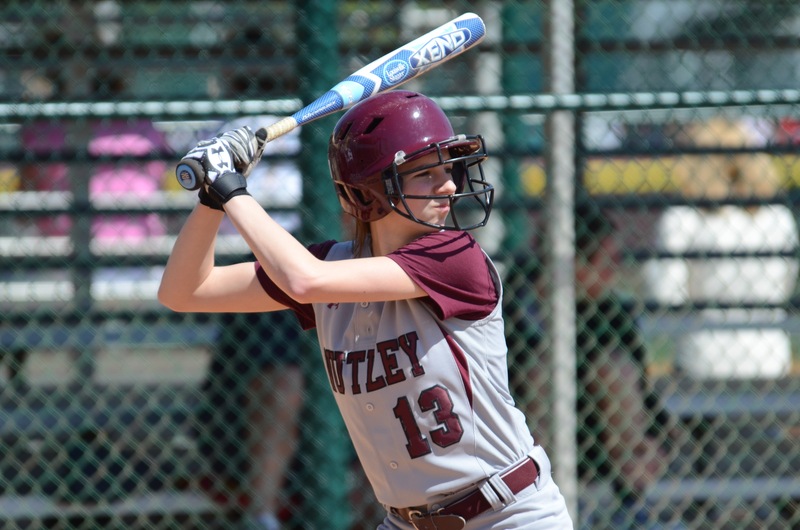 Her ‘Spectacular Bid’ to lead Nutley to a championship should never be forgotten. Thanks, Carly, for four wonderful years.